We have created a 51 Most Important Question Bank which will help students in scoring good marks in HSC Board Exams. HSC Board Exams are fast approaching and students are getting anxious about how to prepare for their HSC Board Exams. So we had mentioned some HSC Study Tips to help students in Cracking HSC Exams. We have also created Free Mock Test of MCQ- Multi Choice Question for students to help them prepare for the exam like scenario. 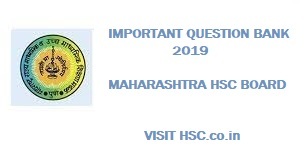 After the tremendous success of our past years Important Questions Bank for Maharashtra HSC Board Exam 2016 , 2017 and 2018 we have also created a list of Most Important Questions Bank for Maharashtra HSC Board Exam 2019 which are likely to appear in HSC Board Exams this year. Write a short note on Primary activities. Give an account of nomadic herding in the world. State the importance of Age Composition. Why Panama Canal is known as the ‘Gateway of the Pacific’? Write a short note on Human Development Index. Why high population density is found in Monsoon Asia? Write the characteristics of Quaternary activities. Describe market gardening in brief. What is ‘density of population’? Explain the socio-economic and political factors affecting it. Write a short note on Importance of roads. State the characteristics of Negroids and Mangolids races. What is population migration? Explain the effects of population. Explain about the APEC organization. What are the main objectives of ASEAN organization? Give the definition of human geography and explain the nature of human geography. State the uses of bauxite. Explain the factors affecting the location of industries. Explain the importance of World Trade Organization (W.T.O) in international trade. Give explanation with the help of examples of inter-countries and intra-countries disparity. Write a short note on The Suez Canal route. Name the major industrial regions of USA and describe them in detail. State the areas of economic development. Explain the distribution of pipeline in India and also state its importance. Describe Sugar industries in Maharashtra.